Tilea-san was filled with confidence, but I was terribly uneasy. So terribly, terribly uneasy. I couldn’t even picture her winning against these guys. The demons in front of me had more to them than just their incredible mana. I could see the intelligence in their eyes. My mana might not be that great, but I have a little bit of confidence when it comes to using my head. But if you ask me if I can win against these guys without losing, then the answer would be no. Depending on the contents of the game, there’s more than enough of a possibility that I would be horribly beaten. Her expression turned blank at the unfamiliar word. Are we really going to be okay? I wonder if Tilea-san can follow his explanation… I’m feeling really uneasy. Oh geez, Tilea-san nodded, but her expression told me that she was just pretending and had absolutely no idea. Horus also gave a suspicious glare. Horus brought Tilea-san and I into a small room in the ruins. From what I heard, it’s going to be a game about the magical elements. The elements are fire, water, wood, earth, wind, lightning, light and dark; eight of them in total, and each of them with their own compabitilies. Fire is strong against water. Wind strengthens fire. That kind of thing. For example, a sword with the fire attribute would do less damage to a fire element magic beast. So using water attribute magic or weapons would be more efficient. One of the popular opinions is that we should be fighting with elements in mind. When we entered the room, I was assaulted by such a strong smell of blood that I felt like I choked. Guh-, it’s true that I was on the battlefield earlier, but I can’t help that I’m not used to it yet. I felt like I was going to throw up any minute, but I desperately endured. Horus laughed with a cruel smile. And what’s more, a game of life and death. Even at best, we’re already being exposed to their demonic pressure. Is it even possible to think clearly like this? I don’t think so. At least, it’s impossible for me. But Tilea-san is here with me. No matter how terrifying they might be, she never yields. She’s like the sun. Even when Horus intimidated us a moment ago, she was completely firm. Here I am, trembling pathetically instead. You can’t even compare the two of us. I turned to the side, and begged Tilea-san with my eyes. Tilea-san muttered to herself in a small voice. It didn’t look like Horus and the others heard, but she begged me for help. My eyes and her eyes met as we tried begging each other for help. Haha, Tilea-san, with your power, why are you looking at me like that? You’re acting almost like some feeble town girl. With those words, Tilea-san faced off against Horus. None of the fear from before was left on her face. Huhu, what a strange person. At first I thought she was a dreamy oneesan, but after travelling with her, that fantasy completely collapsed. She’s stubborn and childish, and often she just sort of drags me around. But then, just like a moment ago, she’ll also take the attitude of a reliable guy. Haha, I can’t understand her at all. But there’s something I do know. Tilea-san is determined now. So there’s nothing left for me to be afraid of. I don’t know when, but the fear inside me disappeared. Taking a sword and helmet from Horus, Tilea-san checked them over. There really was a label there. Nodded to herself, Tilea-san handed them back to Horus. To demonstrate, he struck the fire helmet with the fire sword, but there was just a metallic echo, and not a single scratch on the helmet. When Horus struck down with the water sword, to say nothing of the helmet, even the metal table below it was pierced. These aren’t just your normal compabitilies. When the enchanted items interact, they synergise to the extreme. Tilea-san objected after hearing Horus. Horus then continued on to further explain the relationships between the elements. Just as he said, the compatibilities were just like what I learnt in school. I see, so if you use the fire sword against the fire helmet, it’s no damage. But changing to wood, earth or wind swords will multiply the base damage. And using a water sword will maximise the effect for critical damage. With those words, a very cunning looking man stepped forward. His attitude is arrogant, but he seems the careful type, and seems to have a rather determined personality. A match with him is going to be quite difficult. Even if we’ve been given a handicap, it’s impossible for me. Just how many critical hits would I need just to break through a demon’s defence…? I had considered being the one to play depending on the game they presented, but for something like this I’ll leave it to Tilea-san. Tilea-san seemed a bit unsure. Could it be that even with her power, she’s still nervous in front of a demon? W-, Well, I guess it can’t be helped, right? Tilea-san never took lessons in this sort of stuff. Deep down I’m still feeling uneasy, but I’ve placed my hopes on her raw fighting strength. I notice you screwed up in the past chapter’s title :P. Also, from where are those wallpapers and why do they remind me of nekopara? So good ole retarded tilea will rekt them even with the wrong compatibility. Tilea is a genius when it comes to otaku knowledge, yet she has no idea how the frigging “Elements” interact with each other? wtf? Probably used to different systems. Plus, nobody ever said Tilea was ever fast at picking things up. Probably just had lots of time to practice on account of being a NEET. Tilea will just burst their head open even though its disadvantage element, i m waiting to laughing out at that time,!!! I think you got the wrong context of Helck. To me, it was hinted from the very beginning of how dark it was. Right now, everything is built up and world building is established learning more and more. Helck is really exciting now than it was before. And very tragic. Yeah there were already a lot of hints it was not all nice, especially when you know the old demon lord was killed and why Helck had to leave the human kingdom. Poor Alica, but I’m still shipping HelckxAnnie. They really got some good chemistry going. Oh man I see where this is heading! Tilea will have extraordinary “luck” guessing the right elements I see. Thanks for the chapter Este! Wow Tilea, you’re a chunni and you don’t understand elemental affinities. 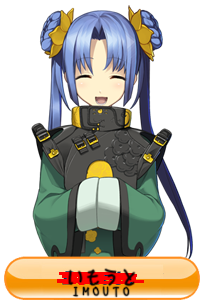 At least she doesn’t know a chuuni system of elemental compatibilities that’s completely different from this world’s. inb4 first hit on tilea should be a critical but does no damage and first hit from tilea should have been nullified but still instagibs the demon. My guess, elemental compatibility won’t even mater to her. I can already see the ending! Oh God, my sides hurt. Never change Tilea. It’s refreshing to have a normal persons perspective since most of the time every point of view so far has had massive misunderstandings lol. Jessica seems to understand Tila the best so far! Oh man, the vampires screwed themselves this time lol! -Critical hit. Double damage. 9999 HP loss. Vampire explodes. ‘Keep an eye out for cheating’ she says but we all know who the real cheat in this scenario is. to think that Tilea’s dark past couldn’t help her with this game. Bakatilea is a stronger Baka in bakaness than Bakarina! You don’t have to call her Bakatilea, because Tilea is synonymous with stupid. Gonna wait for her to realize that everyone in the world’s chuunibyou.